A reading list of texts about public architecture might simply focus on monographs about particular building types: parliaments and art galleries, for example. However, we feel it is more appropriate to discuss public architecture in relation to the public realm, and society more broadly. To do this it is necessary to engage with the vast literature on public space. Key contemporary debates in this area are diverse. Some scholars are interested in the increasing prevalence of surveillance to address the perceived threat of terrorism. In the wake of the Arab Spring, and amid concerns over the rise of populism, or the democratic deficit, other academics made links between public space, political activism, and the health of democracy. Critics and supporters of technological change have, in equal measure, explored the impact of public services shifting online, noting the implications for buildings that formerly served the public realm. Others still are more interested in analyzing the results of neoliberal policies that have seen a paucity of bold, government-led building projects. This has left the burden of creating public space to interested individuals and communities, creating either temporary interventions and grassroots projects in ‘leftover’ spaces, or fostering the ever-increasing rise of privately-managed public spaces. 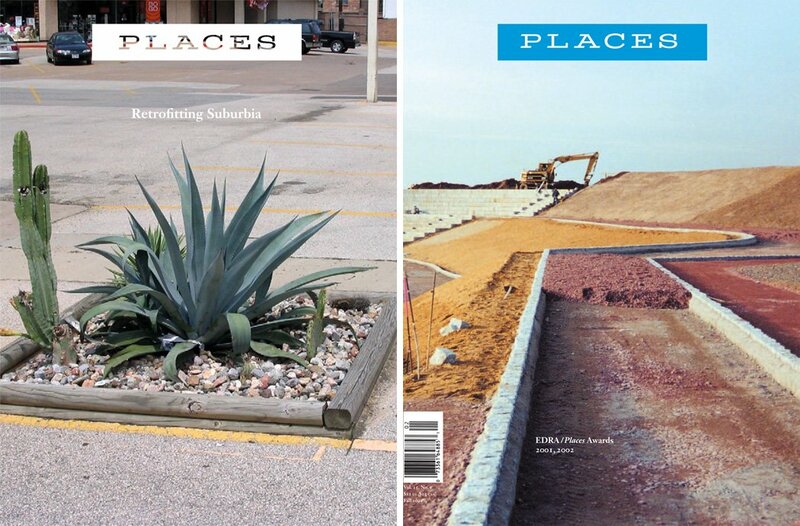 Here we focus on a particular aspect of public space literature that deals with public architecture and its relationship to the social. In other words, this literature explores how public buildings provide both internal and external places for community interaction and participation in city life. They examine building types as complex and diverse as train stations, municipal offices, courthouses, town halls, market places, post offices, community centers, museums and exhibition halls. These buildings often fulfill important civic functions and are the symbolic expression of a public realm. The annotated list of literature includes some classic texts on the topic, as well as some more recent offerings, with some further readings indicated at the end. We do not suggest that this list is, by any means, exhaustive. Instead, it focuses on texts we have found useful to help conceptualize how public architecture can be designed to support or hinder the social, and how the enjoyment and production of public space is implicated with perceptions of power and social order. In this heavily illustrated and very accessible book, public architecture is treated by Hertzberger along a spectrum of spaces from the intensely private to the public square. While the book primarily focuses on public areas created in between, and adjacent to, private dwellings and workplaces, it also covers major public spaces such as galleries, exhibition halls and shopping arcades. The text invites the reader into a particular way of thinking about designing architecture for the public that emphasises the haptic, the social, and the way people inhabit space. Case studies are interspersed with analytic sketches to illustrate particular proximities, architectural devices and formal planning that facilitate particular types of interactions. Unlike many architectural publications, most of the photos of buildings and spaces used show people. Photos are not there to highlight the building’s material qualities so much as to show how the building has been adapted by individual users and how people occupy space in diverse ways. In a nod perhaps to JJ Gibson’s concept of ‘affordances’, this technique beautifully illustrates the ways in which "The architect must take into account all those different types of usage, as well as the feelings and wishes of all sorts of categories of people: of all ages, each with its specific pattern of expectations, its own possibilities and restrictions." This book is important, not simply for its impact on the work other scholars in the field, but because it established new ways of visualising and accounting for the accessibility (or otherwise) of public architecture. Hanson and Hillier broke new ground with their conceptualisation and theorisation of ‘spatial syntax’. Their theory, which was developed through a series of graphical and mathematical tools, helps us understand the different ways in which individual cells of internal space can be arranged within a building, and that through the sequencing of spatial progression through a building power is exerted over occupants. Spatial syntax analysis helps explain how our experience of moving through buildings can either be heavily controlled – in “deep tree-like” structures – or relatively free, with the ability to choose one’s own path made possible in “shallow” or “ringy” structures. Buildings are not simply cultural artefacts being simultaneously functional and meaningful; they are also a physical ordering of space and they order relationships between people (p1). This ‘social logic’ of space has important implications for how open or closed a public building can be and the power dynamics that result. While some of the more quantitative aspects of the book can appear daunting to the first-time reader, there are nonetheless important theoretical implications to their work which makes persisting with the text worthwhile. If the mathematical aspects of the text become off-putting, we suggest focussing on the series of diagrams on pages 147-151 that best articulate the significance of their contribution. A well-illustrated publication and drawing on the work of Hansen and Hillier, Foucault, and others, Markus’ book charts the birth of modern buildings types from the end of the Enlightenment to the beginning of the Industrial Revolution (1750-1850). He classifies the new buildings that emerged in this period in terms of whether they reproduce knowledge (e.g. libraries, museums), whether they exert explicit or implicit control over inhabitants (e.g. hospitals, schools, institutions), or whether they are used for exchange (e.g. shops and markets). According to Markus’ analysis, we don’t just inhabit buildings: rather, they are communicative mediums that tell us about our desires, our place in society, and the bonds and power structures that underpin our social fabric as a whole. Perhaps Markus’ most useful contribution to scholarship is the tripartite model he develops for examining the process of spatial communication of a building’s type to its inhabitants. He argues buildings house people doing ‘purposeful things’; material processes, certainly, but often loaded with social connotations. For example, the statements ‘being an actor in a legal trial’ or a ‘part of a concert’ have embedded within them descriptions or short-hands: ‘trial’ and ‘concert’. These terms would be inadequate were they not loaded with meaning about the particular social relations they imply; about the self-to-self, the self-to-others, and what Markus terms the self-to-Other (or the realm of the symbolic). This tripartite model can provide a useful framework to analyse significant shifts in the design of building types over time. Thalis and Cantrill’s Public Sydney is a distinctive text that has set a new benchmark for scholarly architectural publications. It is unusual because it is both a work of architectural history – featuring essays and archival material from an array of architects, experts, and historians – as well as an architectural document. Its over-sized pages feature detailed and consistent scale plans, sections, elevations and maps of the city of Sydney’s public buildings, street-scape and public spaces. In surveying Sydney in this manner, Thalis and Cantrill have adapted Giovanni Battista Nolli’s pioneering 1748 Plan of Rome, which provides an urban cartographic context in which to examine architecture. Rather than directly appropriating the Nolli figure-ground method – black for solid, white for void – Thalis and Cantrill add significant street-level detail, including the colour green to indicate public landscaped space. In doing so, they trace not only the internal and external elements of Sydney’s public buildings, but also the way these interact with street planning, geography, public space, access-ways, and engineering works. Far from treating the city’s history as static and "dead," Sydney’s public buildings and spaces emerge as something richly layered and in flux, subject to adaptation and rediscovery over time. Thalis and Cantrill appreciate the contested nature of many public sites in Sydney, acknowledging that “public ownership does not guarantee public access,” that Sydney is a site of invasion and dispossession for Australia’s Indigenous people, and that its public spaces and buildings have many times been the locus of protests and political activism. Mitchell’s most important work in this field examines the changes wrought to the built environment as digital technologies alter the ways in which we go about our day-to-day existence. In Mitchell’s rendering, these technologies that allow online access to public services are opening up new possibilities that fundamentally alter our relationship to urban spaces that have profound implications for public architecture. What he heralds as the “electronic dissolution of traditional building types and of spatial and temporal patterns” (p.102), has implications for social equity as well as the social role of architecture. How, he asks, in this new world will we make power and social organisation legible? How can we ensure that new bargains are struck between surveillance and privacy in the new virtual city full of electronic trails and extensive digital footprints? How should communities define their own boundaries and establish behavioural norms? He challenges us to think critically about the new kinds of digitally-mediated environments that we are creating as it affects our capacity to access services and economic opportunities, as well as influences the character and content of public debate, the nature of cultural activities, and the role of architecture in the articulation of power. While massive changes are at play, Mitchell’s work reminds us that through design, we are not passive subjects, but can conceive and plan of alternative futures. An empowering read for the designer in us all. In July 2017, Guardian Cities published a series of articles and an interactive map highlighting the increasing preponderance of pseudo-public spaces in London, and their implications for democracy and public life. Privately-owned public spaces (or POPS) are generated through the construction of private architectural projects and have often been negotiated to allow an increased overall floorspace in the development. They have the appearance of being ordinary public spaces attached to a prominent building, but they are not subject to a local authority’s bylaws and regulations. Rather, what the public may do in these sites is subject to the landowners’ whim, and enforced by private security guards. As outlined by Shenker, POPS are highly problematic, in part because of the lack of transparency surrounding the rules of these privately-owned spaces, which retain the appearance of a public square, park or thoroughfare. Civic users of these spaces may face stringent restrictions in terms of photography, political protest, artistic expression, journalistic activity, sitting, sleeping, or even merely looking ‘scruffy’. But citizens have no way of knowing – prior to being approached by private security guards – that they have contravened the landowners’ regulations. Globally, funding cuts to public services often hit public parks and civic facilities hard, and local authorities can feel they have no choice but to look to private corporations to build and maintain these spaces. As a means of tracking this issue, Guardian Cities (in collaboration with Greenspace Information for Greater London), has produced a comprehensive map of POPS in London (see the link in the further reading section below), which will be expanded and updated in the future, and encourages public submissions. The significance of this threat to public space has historical precedent: it parallels the Enclosures of common space that occurred in the seventeenth and eighteenth centuries. In theoretical and practical terms, what is stake is the very question of whether public space is a democratic right or a privilege that benefits only certain sections of the population.